Make plans now to get your holiday spirit in full swing by attending the lighting of the Zilker Holiday Tree, Sunday, December 1 at 6:00 PM. Come early to get a good seat and bring some pocket money for kettle corn and hot chocolate. 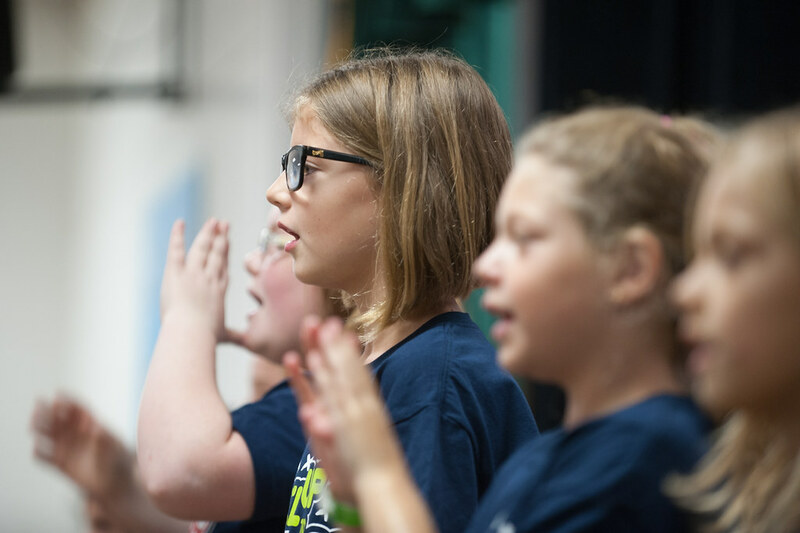 Third, fourth, fifth, and sixth grade members of the Barton Hills Choir will perform for the fifth year in a row. The choir will sing holiday classics including Sleigh Ride, Jingle Bell Rock, and Winter Wonderland. Accompanying the choir are Director Gavin Tabone on keyboards, Jake Perlman on drums, Tom Treanor on percussion, Jason Nunnenkamp on bass, and Don Cento on guitar. 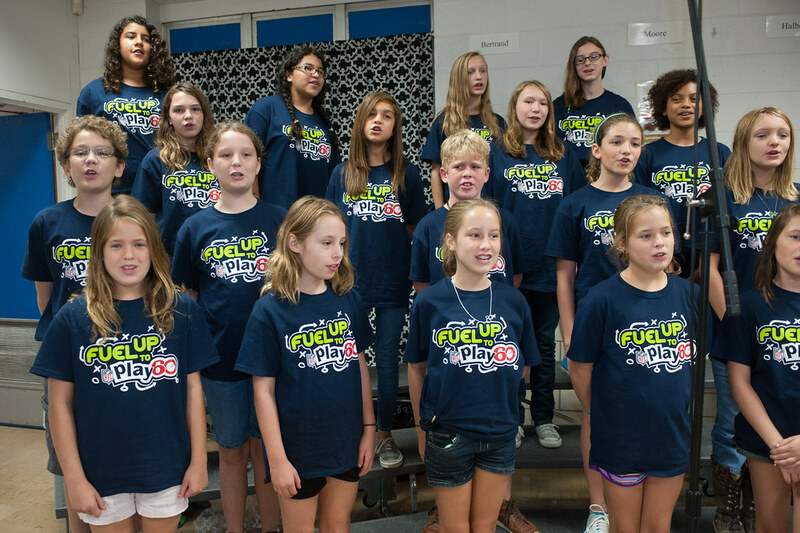 Senior editor Jason Cohen wrote a great feature about the Barton Hills Choir for Texas Monthly that’s currently headlining on their web site. Cohen has also written for Rolling Stone and co-authored SXSW Scrapbook. 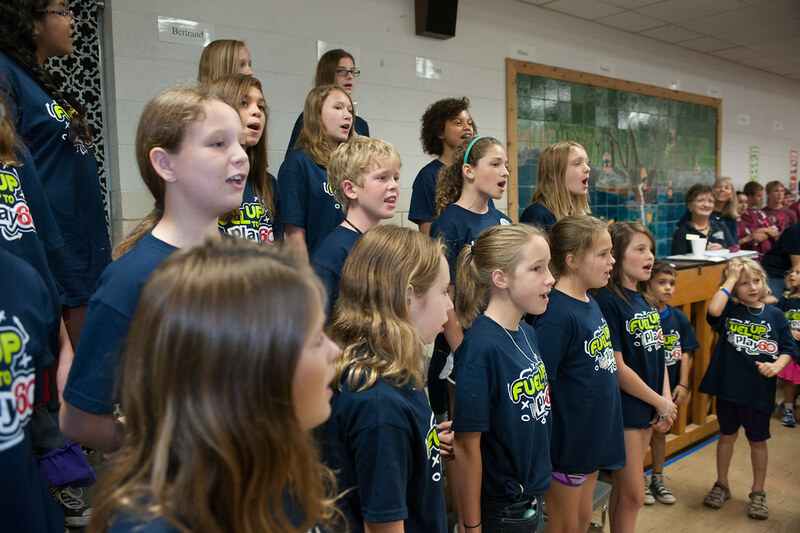 The article profiles the choir and includes pictures by Chan Geltemeyer from their recent Austin City Limits Music Festival performance. Cohen also refers to our school Principal Kati Achtermann as “the hardest working roadie at the 2013 ACL Festival” while shepherding 55 students from bus to stage, and describes Choir Director Gavin Tabone as “both movie-star dashing and band-camp dorky—as well as super-passionate and serious.” Don’t miss it! 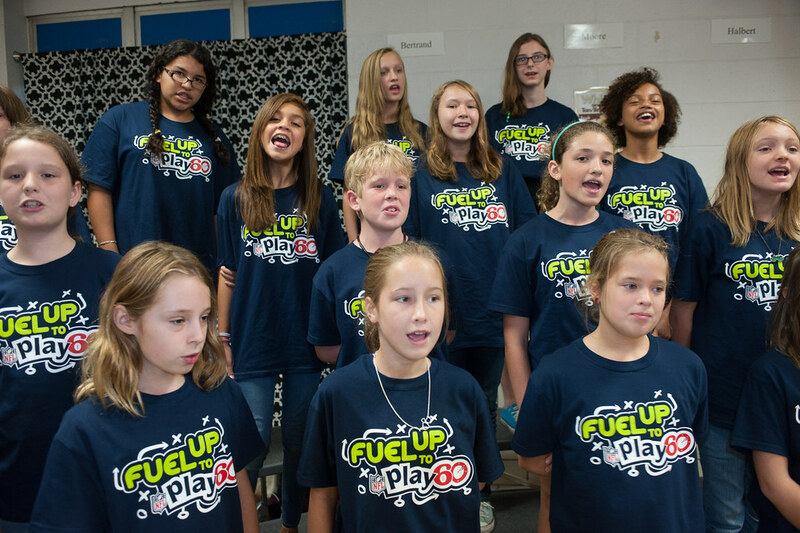 The Barton Hills Choir performed at a special “Fuel Up To Play 60” celebration at the school on September 14. Sixth graders performed “This Land Is Your Land” while second, third, and fourth graders led the audience in accompanying moves. Photos above were taken by Mark Matson. 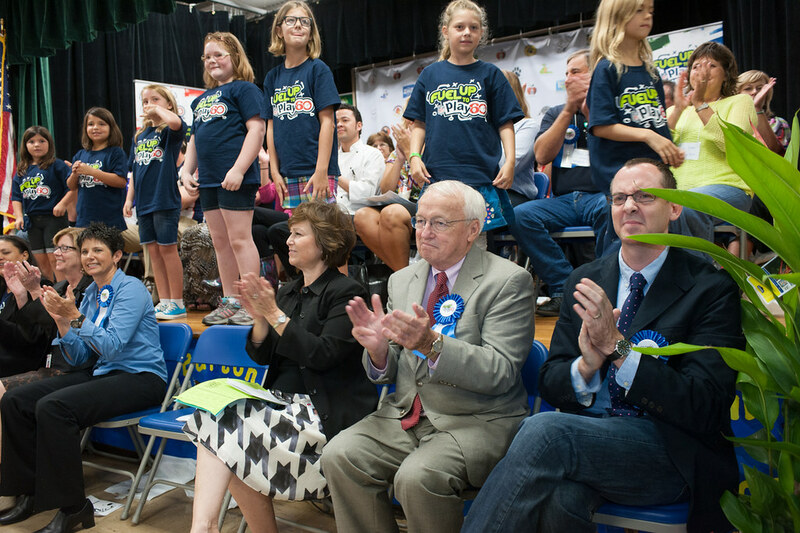 The event was attended by AISD School Superintendent Meria Carstarphen, Mayor Lee Leffingwell, Representative Mark Strama, and additional dignitaries representing Texas dairy farmers, the USDA, and the University of Texas School of Public Health. Former NFL players Mike Rosenthal (Minnesota Vikings) and Dan Neil (Denver Broncos) also enjoyed the activities. 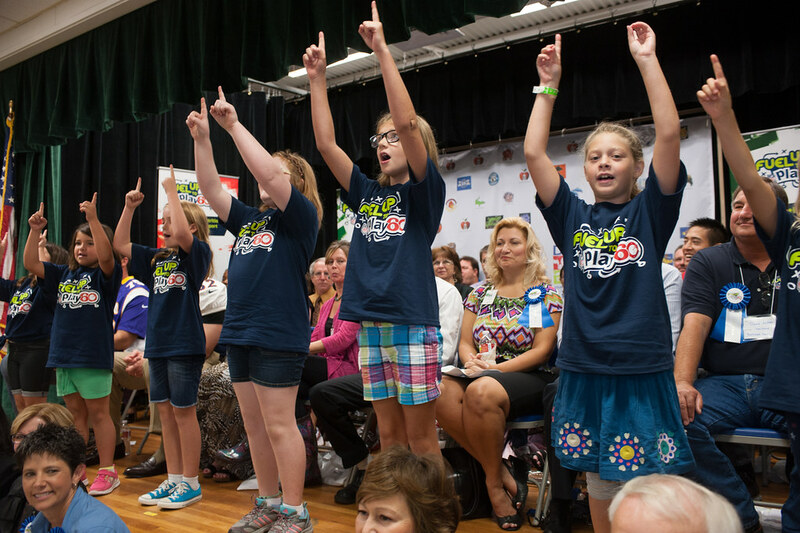 The event celebrated all schools in the “Fuel Up to Play 60” Active Play Project which addresses five of the eight Coordinated School Health requirements. Permanent playground stencils were painted on all 80 school campuses to encourage physical activity, nutrition education and curriculum integration. Dairy MAX awarded 80 Austin Independent School District Elementary Schools $4,000 each for a total of $320,000 for a district-wide implementation. 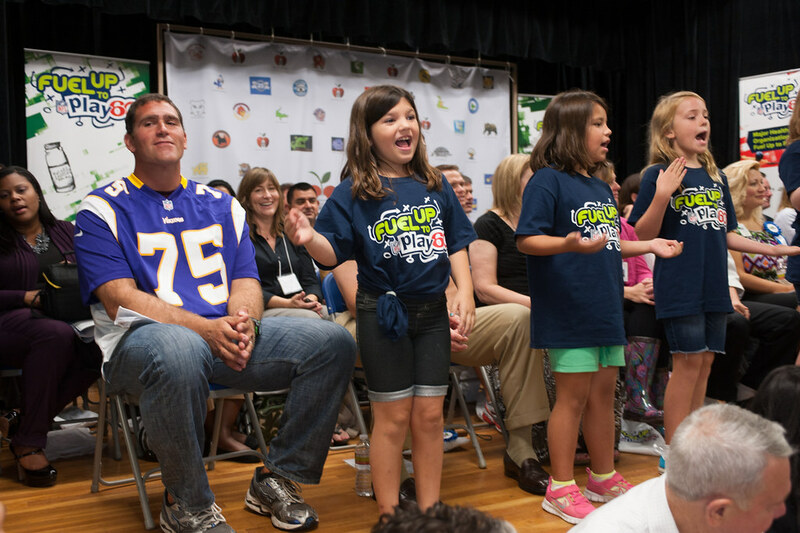 Fuel Up to Play 60 is an in-school nutrition and physical activity program launched by the National Dairy Council, Dairy MAX and the National Football League in collaboration with United States Department of Agriculture.